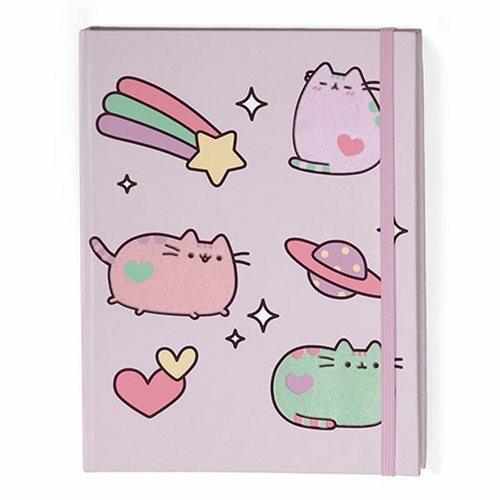 Fans of Pusheen will love this Pusheen the Cat Pastel Journal! This hardcover bound notebook features adorable full-color artwork in eye-catching pastels. The journal contains 80 lined pages and is the perfect place for jotting down thoughts, doodles, and more! Includes an attached elastic band for secure closure. Measures about 8-inches tall x 6-inches long. Ages 8 and up.